My Lovabull is Violet, a 3 year old blue nose, and here is our story. Violet was rescued by Long Way Home Pit Bull Rescue on August 14, 2014. I agreed to be her foster mom, but little did I know this skinny, overbred, sweet-faced blue girl would become my entire world. We started out with a love-hate relationship after Violet continued to pull my things into her kennel and destroy them. The problem was finally solved by replacing her wire kennel with a plastic one. Fast forward a few weeks and I had fallen in love with this blue-nose pit bull who was beginning to look like a normal dog again; her fur was growing back from her mange, her belly was no longer sagging, and she was fantastic in her kennel. One Friday in October, I learned that someone was interested in her and wanted to have her sleep over for the weekend to see if she was the right dog for this person’s home. I was devastated. I cried the entire day, trying to decide what to do. I knew my family wouldn’t be happy with me if I decided to adopt her, but I thought about what my life would be like without her and that was the more painful thought. On October 19, 2014 Violet found her forever home. She is my entire world. She is my sunshine. 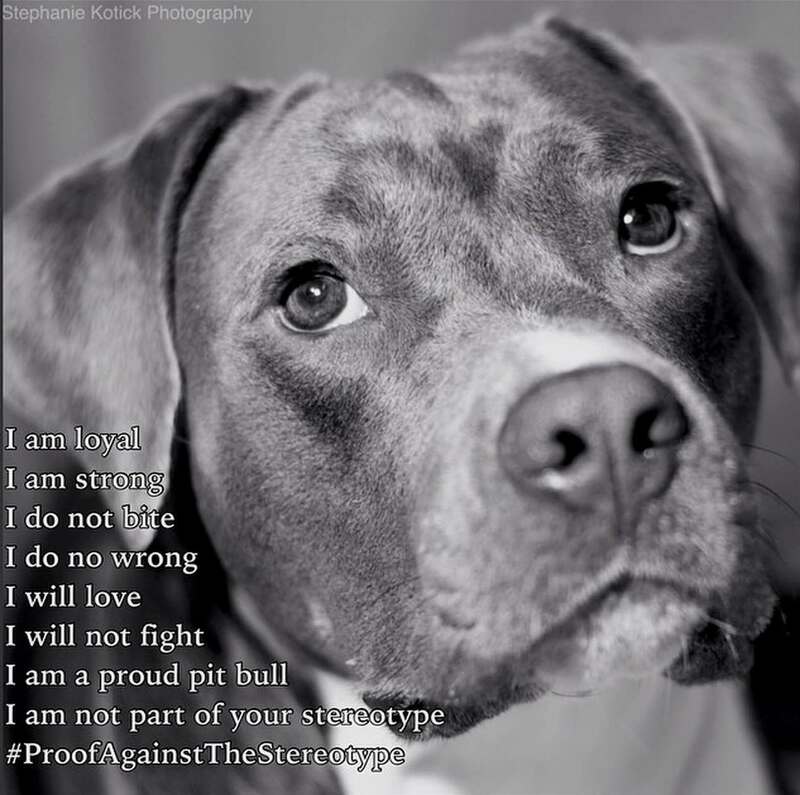 I fight everyday for her and her breed because I am her voice. She is the best thing that ever happened to me, without a doubt, and I am so glad that she is mine. Shared by Maddie at @VioletsVoice14 on Instagram. Follow @pitbullinstagram for the best Lovabull stories and photos on the web. Visit Lovabull to join the fastest growing Lovabull community with the goal to use our collective voice to #EndLovabullHate for good.